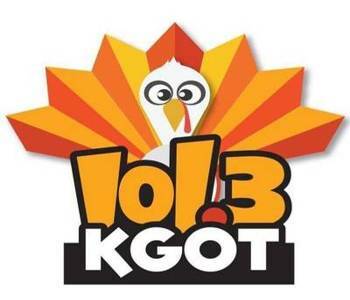 101.3 KGOT is an internet-based commercial Top 40 (CHR) radio station in Anchorage, Alaska. It plays diverse categories of hit songs featuring Classic, Rock, R and B, Hip Hop, Jazz etc. The station is owned by iHeartMedia, Inc., and broadcasts (along with its sister stations) from studios in the Dimond Center. 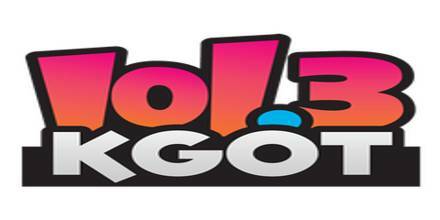 KGOT started using the moniker “Alaska’s #1 Hit Music Station” in 1996 under the Program Director Paul Walker. The station, first under its original call letters of KYAK and later as KGOT, was principally recognized in the Anchorage radio market for its decades-long association with disc jockey Larry Wayne (who also had a stint during this time at KENI when it was a Top 40 station). Wayne became a born-again Christian during his time at the station and later hosted a gospel music show on Sundays. After leaving Anchorage, he became better known due to his organization with Air 1 and K-Love. The station was #1 in the market for many years in the late 90’s and early 2000’s. Some central talent included Scott & Stu for many years into the 21st century. The station still identifies as “Alaska’s #1 hit music station today. 101.3 KGOT (actually iHeartMedia) offers advertisers nationwide opportunities through its supreme variety of media assets including on-air, online, and live events. It creates comprehensive, innovative campaigns for some of the country’s largest companies. Address: Park in the Dimond Center Mall, (Third floor); Anchorage, Alaska. Liveonlineradio.net has 101.3 KGOT in its listings. Just click and enjoy.